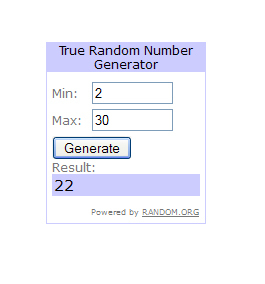 Because the first winner doesn't give me any response after 2x24 hours, I will draw another winner. 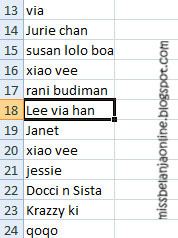 So, the new Winner for Surprise Giveaway part 1 is.. I will wait 2x24 hours, if the winner failed to response *again* I will draw another winner.